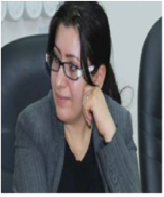 I hold Bsc degree in law from Salahaddin University, Erbil in 2004. I obtained Master degree from Plymouth University, United Kingdom in 2013. I am interested in International human rights law. I am also training unit manager of Kurdistan Centre for Gender Studies supported by the UN and KRG and hosted by Soran University.